Are you looking to buy or build your own house or business in Kefalonia? Do you need a private residence to spend summer time there or withdraw quietly after your retirement? Have a look in our list with real estate agencies in Kefalonia that can help you find or construct your perfect home there. These multilingual and experienced real estate agents can also guide you with all the legal, loan and special tax procedures in Greece. You can also find more real estate agencies in Greece. Created in 2002, Vinieris Estate is a leading construction and real estate agency on the island. In 2006, they also opened a sister company in Cheshire, in the heart of the UK, to better serve the many British people who want to invest on a property in Kefalonia. 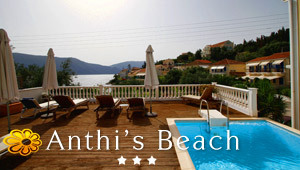 Mantas Real Estate was founded in 2004 and has its office in the pedestrian street of Argostoli. It is run by two brothers with deep knowledge and experience in the sector of real estate, so that they can undertake all the details for buying a property in Kefalonia. Owned by Tim and Chris Vallianos, who lived and worked for more than 20 years in the USA, this real estate agency proposes a customer focused service and a fresh modern approach to marketing properties. They can also help you in any mortgage or investment requirements.